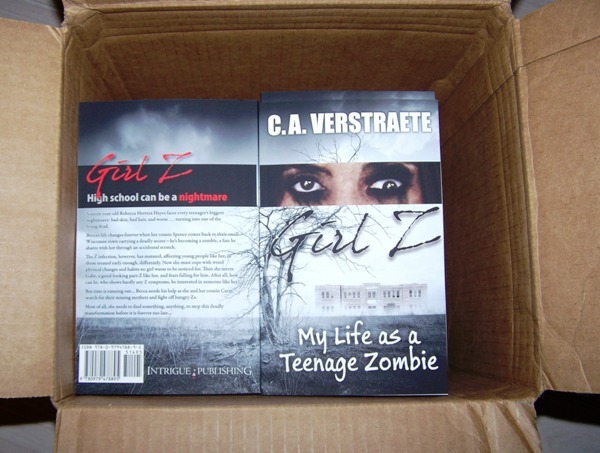 The Book Launch Blog Tour for GIRL Z: My Life as a Teenage Zombie resumes Monday, so in the meantime, enjoy this cover puzzle! See link above for details on the book and buy links. 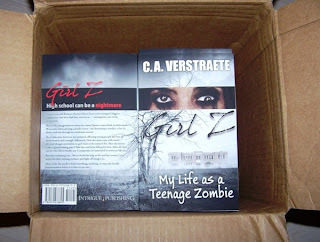 And look what I just got in the mail!! ** You can still enter the rafflecopter to win prizes - see details on blog tour Day 1. ** Don't forget - the giveaway at Kings River Life ends today! - check out the review and details.